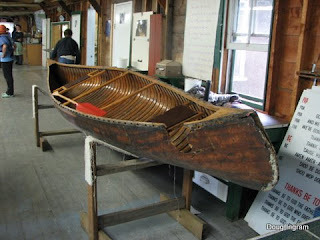 Forgot to how the next MPC canoe restoration project. This one is an old Peterborough Champlain. That big hole in the side did this canoe in. It got blown off o fthe canoe racks, and got impaled by the arm of the next row of canoe racks. Ouch. Posted by Doug Ingram at 11:07 a.m.